This part of the series go even further into the realm of Paul Gilbert's guitars, featuring mainly Paul's unique guitars and not as much his custom PGMs (as the name might suggest). If you thought the man was only interested in old 'lawsuit' Gibson copies, you thought wrong, proven by this '70s Ibanez Stratocaster. 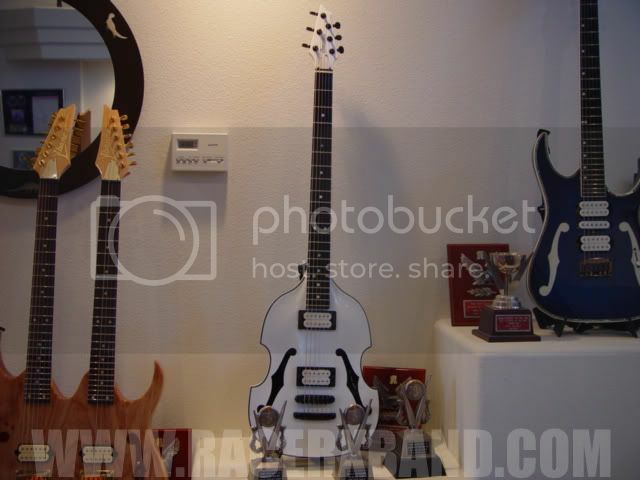 This guitar was used for the intro solo to 'Guitars From Mars 2'. 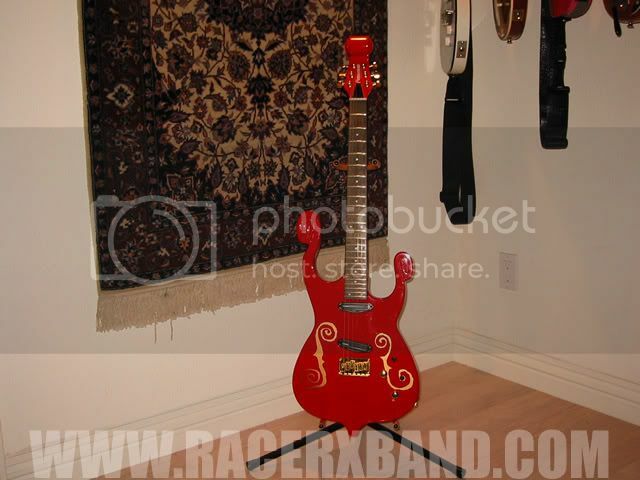 Gilbert has always liked flashy guitars and this gold PGM with red F-holes is a good example. 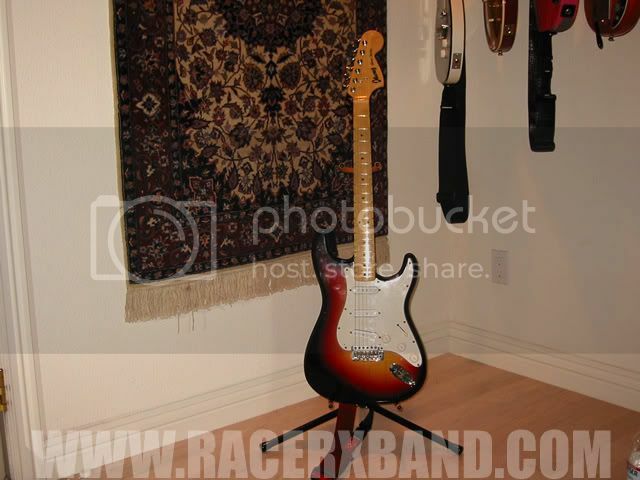 Another Racer X guitar. 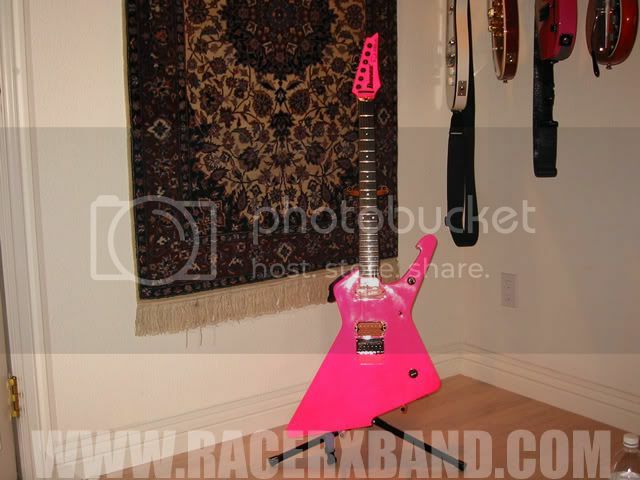 This guitar used to have fringe running from the headstock to the edge of the body. When asked if the fringe got into the way of his playing, he replied that is wasn't too bad and that as an added advantage it wiped the sweat of his hands. A one of extended scale length PGM700. 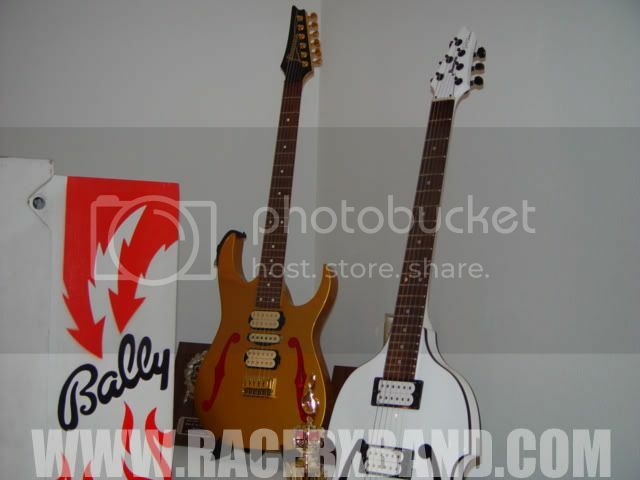 Gilbert once said in an interview he liked collecting unique and rare instruments which weren't necessarily valuable, but simply odd. He always replaced the pickups on these instruments, but sometimes sent the originals to DiMarzio so they could house the new pickups in the original cover, preserving the tackiness of the guitar. 10:15 am	- 1 comments - 0 Kudos - Report!